Sonum Rana, Yajya Rishi and Leah Wong created the program to help their peers feel more connected to school and care about their education. Three North Delta high school students are trying to build a stronger community, one Friday at a time. Sonum Rana, Yajya Rishi and Leah Wong have spent the fall creating I.D.E.A.s (Inclusivity, Determination, Encouragement and Altruism), a new after-school drop- in program at Sands Secondary. 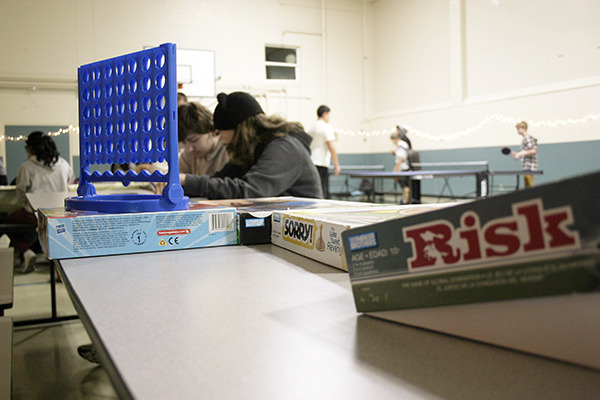 Every Friday, students can drop by free of charge and play Nintendo Wii, ping-pong and a variety of board and card games while enjoying snacks and music. As a result of taking chemistry 12 over the summer, the three Grade 12 students had a hole in their timetable that needed filling. Knowing them to be motivated and responsible individuals, principal Aaron Akune assigned them to “independent directed studies” and issued them a challenge: come up with a problem you’d like to solve and tackle it together. At first the girls thought about tutoring others, but they came to the conclusion that students don’t care enough about their education because they don’t feel connected to the school. “We know that education doesn’t rely on just academic grades, but on how to communicate, how to interact with other students and different students from different [backgrounds],” Rishi said. Though the program is open to everyone at Sands, the girls are particularly focused on reaching out to students who may be in need of a safe and stable environment. So far, the crowd at I.D.E.A.s tends to skew towards the senior grades, but the girls are keen to reach out to younger students who may not yet have fully integrated into the social fabric of the school. “I remember when I was in Grade 8, I never joined student council or [other school activities] and I think that’s because I was scared. We’re in Grade 8, we’re new, we don’t know anything and we don’t want to be embarrassed,” Wong said. Still, turn out has been fairly good. In its first week back in November, the program drew about 40 students. The next week, that number doubled. As for Rana, Rishi and Wong, they have their sights set on one day expanding the program to include karaoke and monthly movie nights. Eventually, they’d like to see I.D.E.A.s spread to every high school in Delta. Video courtesy of Delta School District.